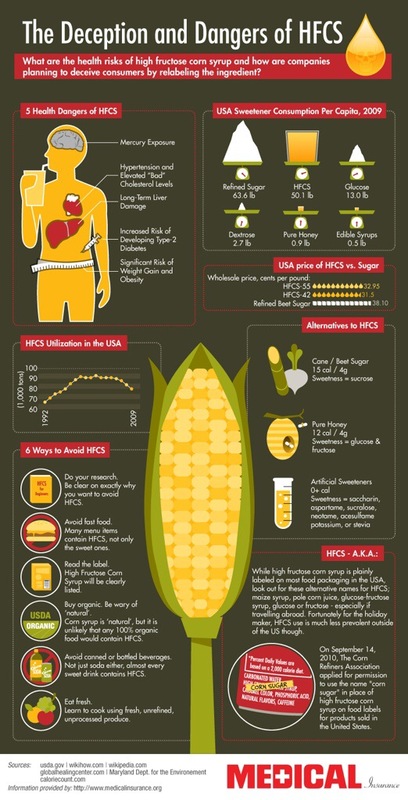 Awhile back there were a series of television commercials touting the benefits of high fructose corn syrup (HFCS). You’ll find this ingredient in many pre-packaged foods, mainly (but not always) as a sugar substitute. The following infographic lays out key info so you can make an informed decision.